Recommended installation procedures for PermaTrak's concrete boardwalk system - created for designers, owners and installing contractors. You may not be the one driving the Bobcat - but we think it's still important to understand what it takes to install the products specified on your project. 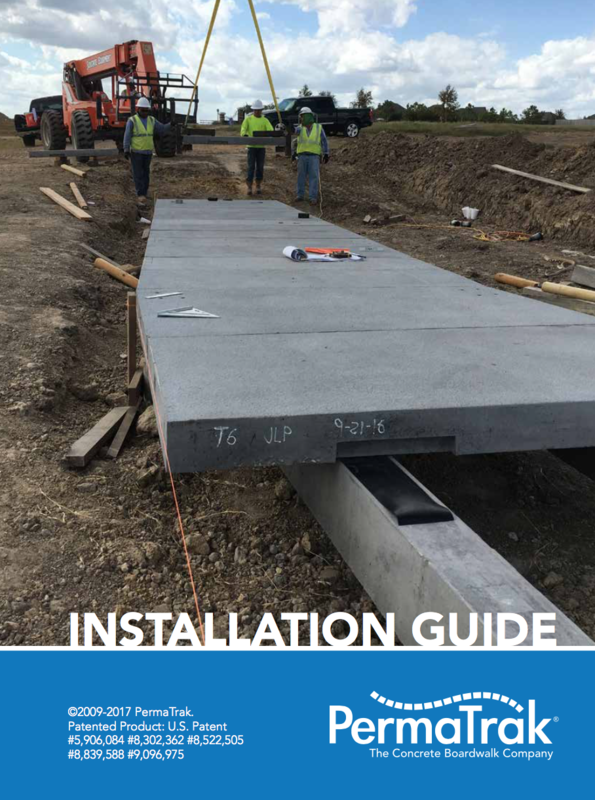 Download the Installation Guide today to gain a better understanding of how large a crew is needed, what type of equipment is typical, and how PermaTrak components are handled in the field.